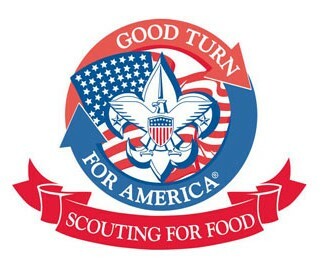 On behalf of the Ramapo Valley District, we would like to extend a BIG thank you to all who came out to support our Annual Scouting for Food Drive. Over 75 volunteers contributed 344 service hours to handle 3300 bags of food donations. We collected an unprecedented 24 TONS (48,000 lbs.) of non-perishables to benefit the Center for Food Action in Mahwah, and Oasis in Paterson. Thank you to all Packs, Troops and Crews, the Wayne Valley High School National Honor Society and the Wyckoff-Midland Park and Allendale Rotary Clubs who reached out to their communities in order to gather a variety of non-perishable food and baby items.